Value-based initiatives, such as bundled payments, are great vehicles to collaborate more closely with independent providers in our efforts to improve the patient experience. As value-based programs become more common, it will be increasingly important to identify new ways to drive better patient outcomes, higher-quality care and more efficient services. We are pleased that our work with bundles is enabling opportunities for independent providers to engage in this important dialogue. 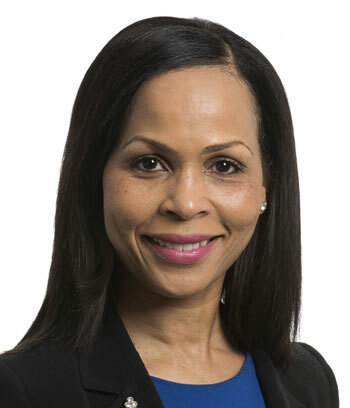 As senior director of Strategic Development for Novant Health, Arlene Ferebee, MBA, PMP, has responsibility for various new business opportunities aimed at enabling strategic growth for the organization. In her role, she collaborates closely with cross-functional teams and leads efforts to build and align organizational capabilities with new initiatives to ensure systemwide success. Having spent the majority of her career in the consumer healthcare industry, Arlene brings a unique blend of project leadership, relationship management, and business development experience and expertise to Novant Health. Since joining the Business Development and Sales department in 2013, Arlene has managed Novant Health’s Target Clinic and CVS Health relationships as well as provided leadership on the organization’s Health Insurance Exchange campaign and bundled payment initiatives. In addition to holding a Bachelor of Science in health policy and administration and Master of Business Administration degree, she is a certified Project Management Professional (PMP) and member of the Project Management Institute. Call toll-free 1-888-384-4975, email us or fill out this form to get started. Is your practice positioned for success in the face of industry changes? AXIA can get you there.